METATARSALGIA | GEORGE D. GOUDELIS MD. Ph.D. The term metatarsalgia is a symptom rather than disease and is a compound word derived from Greek words metatarsia and algos (pain). It refers to pain localized to the anterior - plantar surface of the foot (ball of the foot) and usually develops gradually and not suddenly. Athletes who take part in competitions demanding as running, marathon, tennis, jump height or length u, have higher incidence rates of problems in the leg. The etiologies are numerous and encompass a spectrum of diseases processes. Overuse syndrome. 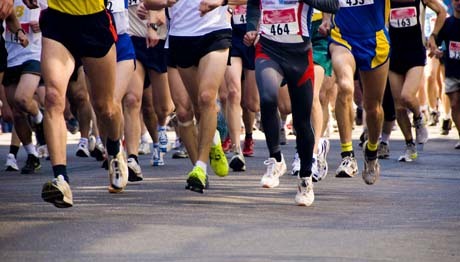 For example, in runners and athletes, which can cause some mild inflammation in the metatarsal heads and nearby joints. Other sports such as tennis or sports that involve jumping may also put extra stress on the metatarsal heads and lead to inflammation and pain. 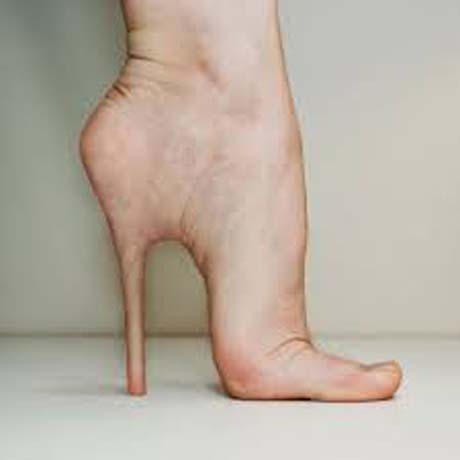 Wearing high-heeled shoes. Women tend to wear very high heels shoes. 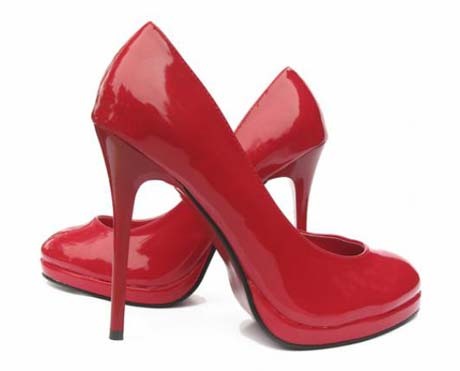 High heels shoes carry large loads on the heads of the metatarsals and is a frequent cause metatarsalgias. 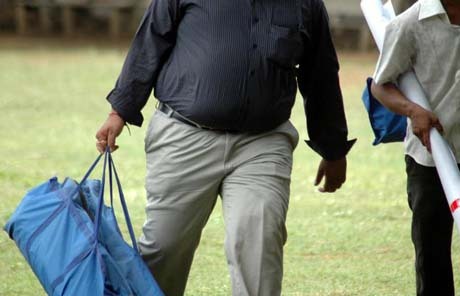 Obesity. This can put extra stress on the feet in general creates conditions worsening the problem. Short Achilles tendon. This can affect the way that pressure is distributed across the foot and may lead to extra stress on the metatarsal heads. Morton Neuroma. Quite common clinical entity related to swelling and hypertrophy of the digital nerve between two toes. The symptoms may include pain, burning and local numbness extending fingers. Hallux valgus. 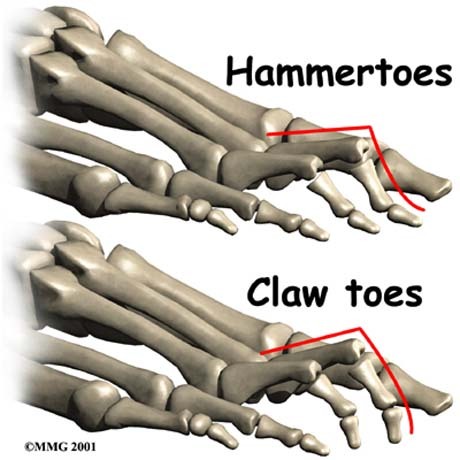 Common deformity of the great toe which the great toe tilt to the other fingers. Many times it can pass beneath them, creating intense deformation and difficulty in walking. The callus formation on the plantar surface of the big toe and the second and third finger is frequent and causes metatarsalgia. Previous surgery to the foot. For example, previous surgery for bunions or Morton's neuroma (plantar surgical exposure). Today i prefer to operate Morton's neuroma with dorsal foot exposure to avoid this complication. Stress crack (fracture) of a metatarsal. A stress fracture is a type of incomplete fracture in a bone. Stress fractures tend to occur as a result of overuse and are known as overuse injuries. A metatarsal stress fracture is a stress fracture in one of the metatarsal bones in the foot. Occurs in people with persistent and intense physical activity (long distance running - Marathon etc), or military marches -long distance walking with unsuitable shoes and continuous impact of the foot on the ground because military salute. Freiberg's disease. This is a rare disease characterised by osteonecrosis of the second metatarsal, most commonly seen in teenage girls. Arthritis or gout. This can cause inflammation of the joints in the ball of the foot or of the big toe and can be a cause of metatarsalgia. Diabetes. This can cause damage to the nerves due to demage of the small artery of the nerves (vasa nervorum), in the feet and can be a cause of metatarsalgia. The key element to address the metatarsalgias is clear investigating the cause of this. The patient's history will provide information about the general state of health such as the existence of diabetes mellitus, increased uric acid in the blood or a neurological problem, the existence of related persons with foot problems, as well as for sports and professional activities and level these requirements. The clinical examination of the foot will demonstrate existing problems such as a large arch of the foot -pes cavus-, hallux valgus, inflammation in the joints of the fingers and feet, the existence of calluses or ulcers on the feet or toes, the existence of edema and the color and condition of the foot skin. Blood tests as will give sufficient information on the existence of diabetes mellitus, increased uric acid and the possibility of autoimmune disease. 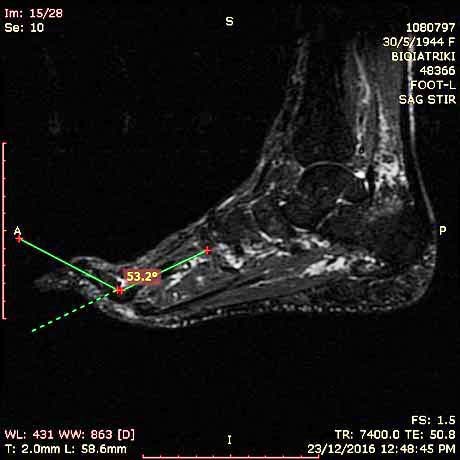 Radiographic examination will provide information for bone status, evaluation of mechanical and anatomical axes of the foot to help the specialist Orthopaedic for making decisions about how to address the problem. 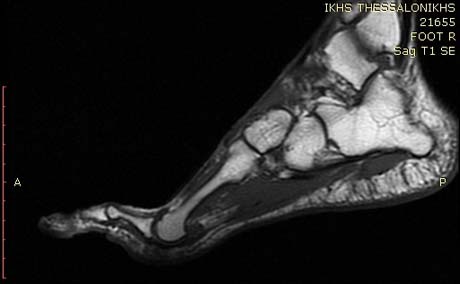 MRI with intravenous contrast or not highlights the Morton's neuroma and evaluate the soft tissues of the foot. Prerequisite for tackling metatarsalgias is to determine the cause of the clinical entity. The metatarsalgia as mentioned is not a disease but a symptom that may be caused by many factors. Some of the diseases that cause metatarsalgia should be treated surgically as valgus valgus, the Morton's neuroma, severe pes cavus especially if caused by neurological diseases. The control of body weight, the setting of diabetes mellitus, the pharmaceutical treatment of increased uric acid should take care of the same patient of course under the guidance of a qualified physician. Resting with your feet elevated where possible - elevate them and rest on two pillows in lie position-. 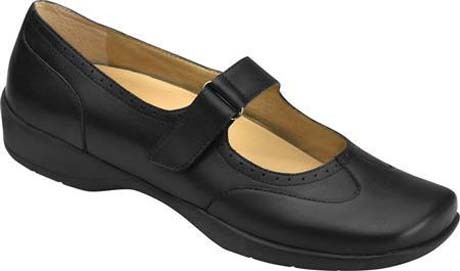 Wearing shoes that are well fitted, low-heeled - 2-3 centimeters high - and have a wide toe area. 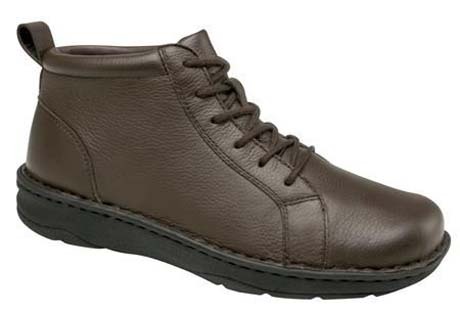 Metatarsal pads and orthotic inserts (custom made), for your shoes may help to relieve pain in your foot by reducing the pressure placed on the heads of your metatarsal bones. removing the calluses of the plantar or dorsal foot is not a solution to the problem rather than alleviates only temporarily. The creation of the corn in the feet is a defense mechanism of the body in large loads of exercise points. The skin deposits keratin layers to face thereby forces from the ground of which conflict with the heads of the metatarsals that due to various factors such as cavus or hallux valgus are getting steeper. Usually calluses reappear rapidly if not solve the problem that creates them. The use of pain killers and anti-inflammatory drugs help but not solve the problem and many times because it removes the pain the person returns to intense activities recycling in this way the problem.